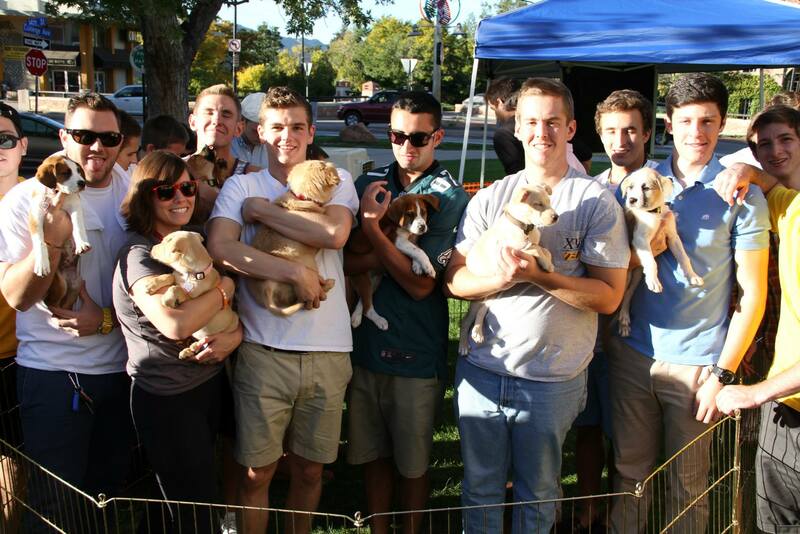 Alpha Psi Delta – creators of the amazing Puppies and Froyo event! Puppies & Froyo is one of the best ways to enjoy a beautiful Spring day while also doing good for the community. All this event entails is playing with pups from your local animal shelter while raising money through froyo sales. Oh and guess what? I bet your favorite sorority would love to team up for this great event. Organization is key so having the froyo vendor and shelter set early is critical! Work with the froyo vendor to have a portion of proceeds go to the animal shelter. Contact animal shelter and froyo vendor to set a date. Contact sorority or student organization to set a date. If the Lodge doesn’t have a yard for the event, reserve a location that works. Promote, promote, promote! Print flyers and post them throughout campus. Make 2-minute speeches before classes to raise awareness. Visit all sororities and student organizations to invite them to the event. 2 Weeks out- Confirm with animal shelter and froyo vendor that everything remains set for the previous date and time. 1 Week out- Have plans for enclosed area finalized to ensure safety and well being of animals and participants. Day of- Setup and begin a day filled with fun, laughs, and of course, pups!